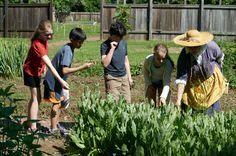 Visit Pennsbury Manor to discover a legacy that inspired the founding fathers! Winner of the 2011 Award of Merit from the American Association for State and Local History (AASLH), the nation’s most prestigious competition for recognition of achievement in state and local history, William Penn: The Seed of a Nation explores Penn’s desire to create a place that stood for fairness, religious tolerance, acceptance, and representative government. During your visit you’ll discover the symbolic legacy William Penn has left behind, and how his face and name was used in art, politics, religion, business, and advertising as an iconic representation of trust and integrity. The exhibit features objects excavated from the foundations of William Penn’s original summer house and kitchen house during the archeological digs conducted at Pennsbury in the 1930s, a copy of the Charter of Pennsylvania, dioramas featuring life-sized models of early Pennsylvanians who lived and worked at Pennsbury Manor, and a number of fun and interesting activities. William Penn: The Seed of a Nation tells the stories of early American colonists and provides insight into how William Penn’s ideals inspired the men and women who set out to create a new nation. 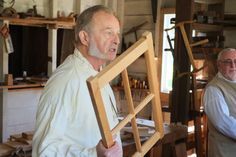 Don’t miss your opportunity to learn about one of the country’s most influencial figures and see a site that stands as a cornerstone in American history!